Shop responsibly with this reusable shopping tote. 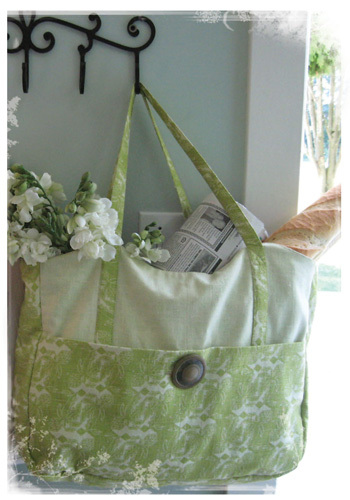 The Basic Tote is lined and has web handles. Fabric handles are an option. Make as many as you need as they fold up and fit in the Detailed Tote which has a roomy outside pocket and 2 small inside pockets suitable for cell phone and glasses. Patterns included are for a "basic tote" and the "detailed tote".